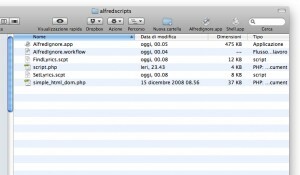 AlfredIgnore.workflow (and the corresponding app): It’s a simple workflow for the finder that asks to set comments for the currently selected files (or folders, recursively) with the “alfred:ignore” string as a default. I have put the app in the finder toolbar as you can see in the pic (just drag the app there). 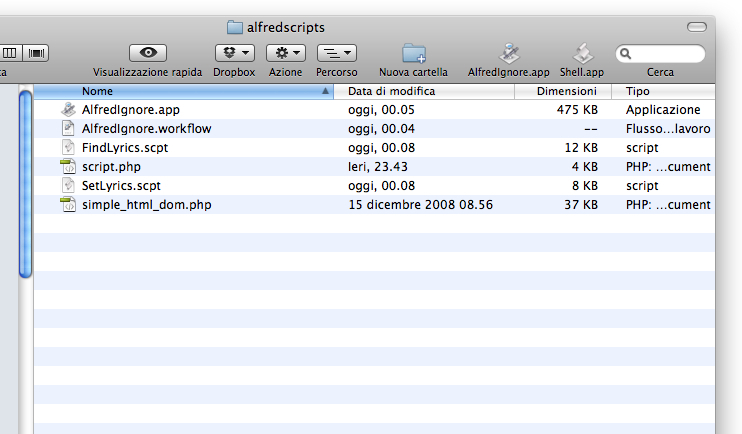 You can find all the files in this zip: alfredscripts.zip (300KB).